Explore Munich and the Bavarian lakes on this self-guided biking holiday through Germany. Cycle along the crystal clear water of the Isar River to the impressive Lake Sylvenstein and follow scenic trails through typical Bavarian towns. Admire the majestic mountain ranges, stroll through colourful old towns and ride through the Murnau Moos, the largest marshland area in Central Europe. Freewheel Holidays are delighted to offer you a relaxed cycling holiday that makes for the perfect introduction to this fascinating region. This tour starts in Munich. Overall, as is the case with plenty of Bavaria cycling holidays, this is a rather easy tour. A few short climbs can be conquered easily by pushing the bike. You will cycle on beautiful bikeways and minor roads. Main roads will only be used for short distances. The route is mostly paved; some longer passages are on natural roads which are in good condition. Routes may be subject to change or alteration on our Bavaria cycling holidays. All route notes, maps and day-by-day information will be given to you upon arrival at the first hotel or the welcome meeting. 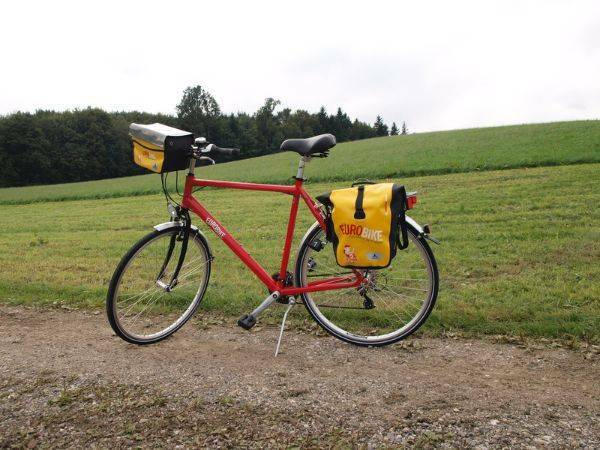 GPS/GPX files are available for most of the Bavarian Lakes cycling holidays we offer. Please ask us for details about this or any of our other routes including Berlin Lakes by bike and the Lake Constance cycle route. Murnau – Garmisch Patenkirchen 35 km Throughout flat routing. In order to enjoy Germany's largest mountain, you should be at 14:00 clock at the station of the Zugspitze Railway. Garmisch Patenkirchen – Mittenwald - Wallgau 50 km The way to the source of the Isar is uphill. This stage is characterized by continuous officially marked with the Isarradweg shield. Wallgau – Bad Tölz 50 km Throughout flat route. Bad Tölz – Lake Tegernsee – Bad Tölz 45 km Hilly route without steep inclines. Bad Road surface in Gaißbach Valley for 5 Km. 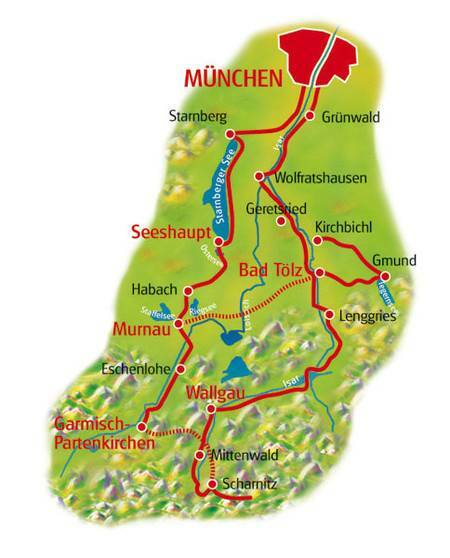 Bad Tölz – Munich 65 km Hilly route with a greater increase of about 1 km. We recommend flying to Munich airport to reach the starting point of this cycling holiday in Bavaria. 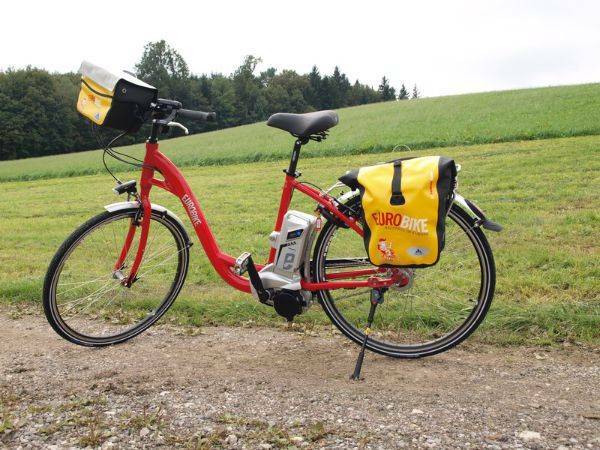 Please use local transport to arrive at the starting point of our cycling tours in Bavaria or call us on 0800 755 5385 for more specific travel advice. You do not need to go back to the starting point of the Bavaria bike tours as all hire bikes are left at the final hotel. Important: Please book your flights only after your cycling holidays in Germany have been confirmed by invoice or email. Flights and transfers are not included in the advertised holiday price. 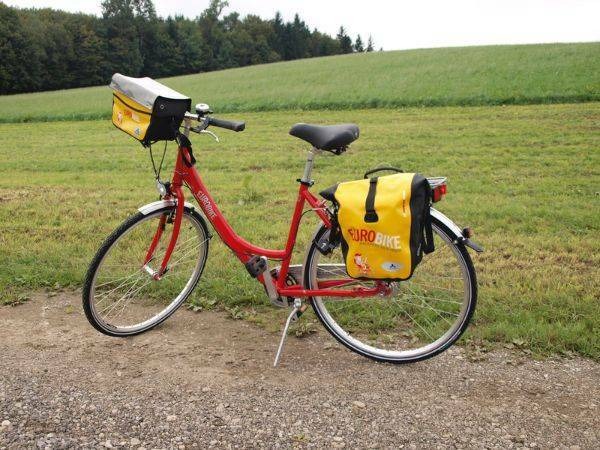 The Munich and Bavaria Lakes cycling holiday includes the daily transfer of luggage to the next hotel and local support if required.